Caroline Spence joined us just over a year ago, and it’s safe to say the work she’s been doing is vital to the team. Here’s what she had to say when we caught up with her a couple of months after she joined. I joined AXA’s Actuarial Graduate Programme in September and I’m really enjoying the programme so far. I haven’t been here very long, but I already feel like I’ve learnt a lot in that time. I was very quickly put on real projects, so I really hit the ground running and feel as if I’ve learnt a lot more than if I was in the classroom. There’s a friendly, welcoming atmosphere and everyone around me has been really supportive and approachable – after all, they’ve all been in my shoes at some point, so they know exactly what I’m going through, which is helpful. I studied actuarial science at Heriot-Watt University in Edinburgh and graduated earlier this year. I was attracted to the Actuarial Graduate Programme for a number of reasons. Firstly, I really liked the idea of working for a multinational, general insurance company. 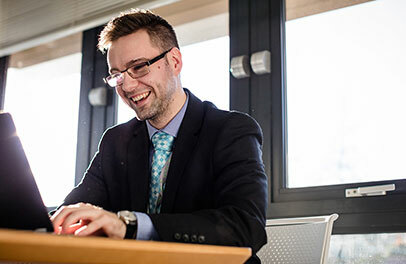 Secondly, it’s a specialist programme with lots of support for students, including study days and financial support in taking the exams and tutorials – not many graduate opportunities offer this level of support. And thirdly, it’s well respected – I asked university lecturers what they thought about the programme before I applied and they all praised it highly. 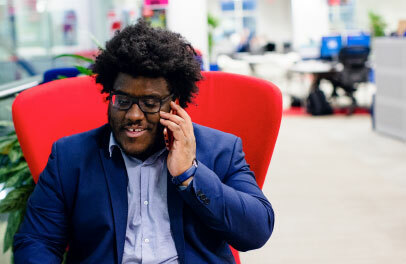 I was accepted as an AXA graduate, to start upon completing my degree, after successfully completing an eight-week internship with the company at the end of my third year of study. 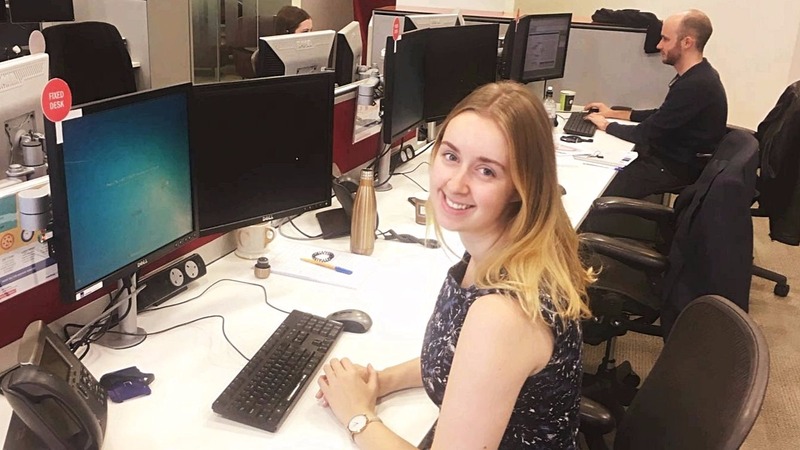 The Internship was a great opportunity to find out more about the business and get some first-hand, on-the-ground insight into life at AXA, how actuaries fit into the bigger picture and to make sure it was the right fit for me. 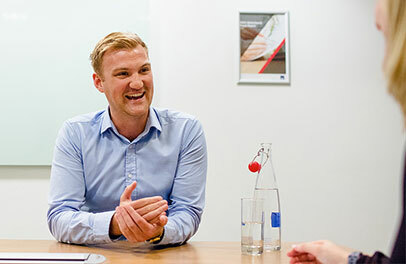 It was a fantastic experience where I was able to work closely with many different teams, getting a good flavour for the role that actuaries play in the business. 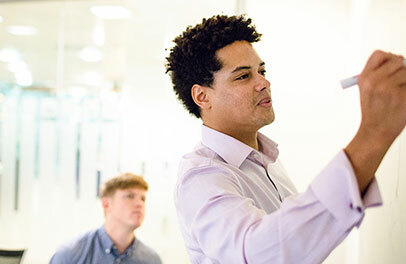 If you’re thinking about joining AXA’s Actuarial Graduate Programme, I would say to go for it. My advice would be to do thorough research beforehand and make sure that this is the programme for you. It’s a fantastic opportunity but it’s very fast-paced and it’s important that you’re able to balance work life with your studying. Make sure you’re comfortable with the level of commitment – it can take between three to seven years to become fully qualified. And, if you’re up for the challenge, grab it with both hands – everyone is really supportive, approachable and friendly; you won’t regret it. 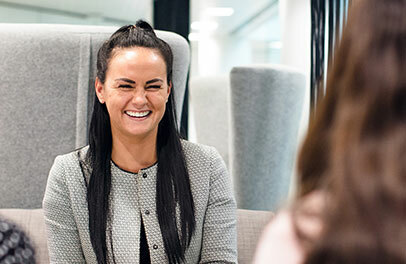 If Caroline has inspired you to find out more about our Actuarial Graduate Programme, you can find out all you need to know about our early careers right here.